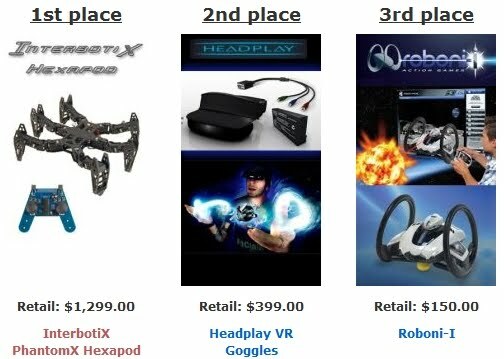 Upgrayd: Trossen Robotics DIY Project Contest! Trossen Robotics is holding a DIY project contest with some great prizes. I plan to enter the contest with a new project that I will be documenting here on the blog. For more info on the contest check out Trossen Robotics Project Contest Page.